When should you get golf coaching? The longer days and warmer weather that generally arrive with Daylight Saving Time are usually a signal for new golfers to take up the game of golf, as well as being an annual trigger for existing golfers to decide that it’s time to make the effort to play more golf. I happened to overhear a conversation between a couple of those golfers recently that I thought I would share with you – not because what was said was particularly useful. In fact the suggestion by the instigator of the conversation, made absolutely no sense to me at all. The reason I wanted to share the conversation with you is because as I reflected about what was said afterwards, I realised that the thinking that generated the suggestion may be more widespread than I imagined. Potentially, not as destructive as the sort of bad advice given around the world every day that continues to twist golfers in knots by telling them to do things like: Keep your head down, Keep your head still, Keep your left arm straight, Take the club straight back and Transfer your weight to hit the ball. But it’s still a line of thinking that needs to be changed, as it’s just not helpful to golfers at all. An infrequent golfer, who had played the odd casual game of no more than 9 holes at a time, had made the decision to commit to playing golf more regularly over summer. Nothing unusual there, in fact, as I’m sure you are aware that’s a great idea. As part of their decision to play golf more regularly, they were thinking about having some golf coaching to make sure that firstly, they didn’t embarrass themselves in front of other golfers and secondly, so that they could improve their golf game. Still nothing unusual there either, also a great idea but then the conversation took a strange tangent as the infrequent golfer then said. “I’m going to have a few more games first before I start the coaching sessions”. Lets’ pause for a minute here and consider that statement – an infrequent golfer that has never (I assume) played more than 9 holes a time, who it seemed had a skill level of novice or less, which I gathered from hearing the comment. “I want to be able to hit the golf ball first before I have any coaching”. Wants to go and play a few 18 hole games of golf before having some golf coaching to learn the basic skills of the game and how to hit the golf ball. Can you foresee a problem or two with this approach? I certainly can but then I got to wondering if there are any other situations that this sort of thinking happens elsewhere in life. Turns out, that while writing this article, I was able to make a pretty big list of other areas of life where you would logically consult an expert to learn a new skill from or get help with a certain problem. For most of them, that expert help was required sooner, rather than later but when it comes to golf, for some reason people think the opposite applies. Strange when you consider, how difficult it is to try and change something that you have done with your golf game, even if only for a short time. Instead of listing all the situations that I was able to think of, I’m going to remind you of just what is going on when a golfer is starting the game of golf with an excerpt from an article on golfhabits.com called Are you a frustrated new golfer? ‘To hit the golf ball, we are rotating our entire body one way and then turning it back the other way, while accelerating a golf club that we are holding with both hands, hoping to get the club head back to a position within a fraction of where it started, while it is moving at 60 – 120mph in order to strike a golf ball that is 1.68 inches in diameter. To do this, we require the controlled and sequential use of 96% of the muscles in the body. Once we have hit it (if we did), we expect it to fly straight in the direction we think we are aiming to hit it but it seldom does. Not to mention that after figuring all that out – we then have all the subtleties to work out – wind, in between distances, trees and rough, different types of shots, sand traps and other hazards. Then once finally at the green, we need to figure out how to read the green, get the speed and direction of the putts correct’. Any idea after reading that – whether I’d suggest playing golf or getting the coaching first? What if we add in the fact, that usually this type of new or infrequent golfer is usually playing with or in front of competent, regular golfers, not many of whom are happy to embrace the idea that the infrequent golfer who is hacking their way down each hole and as a result, playing slower than a regular golfer would. Is in fact, the future of the game of golf. It’s more likely, that the regular golfers will be putting pressure on them to speed up, which for the new or infrequent golfer, will usually mean rushing things and playing worse. Lets’ look at the end result of all that – an infrequent golfer that is still figuring out how to ply the game, probably feeling embarrassed as they aren’t doing as well as the other golfers they are with and being hurried along by them on most holes. What are the chances of that infrequent golfer hanging in there over the next year or two and ending up becoming a regular golfer? Which is why, my answer to the question ‘When should you get golf coaching?’ is and always will be, get golf coaching as soon as possible for a new or inexperienced golfer. But when should you get golf coaching if you are an existing golfer who is finding that your golf game is getting worse? If you play poorly one day, forget it. If you play poorly next time out, review your basics, as most poor shots are created before you hit. You can find your local club professional at: www.pga.org.nz/find-a-pga-pro or you can find out more about the golf coaching that I offer on this website. 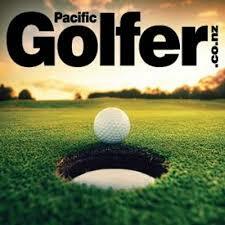 Ian Hardie is Golfer Pacific’s Golf Professional contributor. He is Club Professional at Omanu Golf Club in Mount Maunganui. Ian’s time is split between the pro shop at the club and helping people to improve, while enjoying their golf more as a result of his golf coaching. Over the past few years, in an effort to help as many golfers as he can, Ian has been sharing his common sense golf advice with golfers around the world through his website golfhabits.com. With over 500 articles to read, it’s a great resource for any golfer looking to improve their golf game.